The soul of every living being shall bless your Name, G-d our G-d; the spirit of all flesh shall always glorify and exalt your remembrance, our King. From this world to the world to come, you are G-d, and other than you we have no King, Redeemer or Savior. He who liberates, rescues, sustains, answers and is merciful in every time of distress and anguish, we have no king, helper or supporter but you! G-d of the first and of the last, G-d of all creatures, master of all generations who is extolled through a multitude of praises, who guides His world with kindness and His creatures with mercy. G-d is awake, behold, He neither slumbers nor sleeps. He who rouses the sleepers and awakens the slumberers, who resuscitates the dead, heals the sick and gives sight to the blind, who makes the mute speak and releases the bound, who supports the fallen and straightens the bent. And to You alone we give thanks. Were our mouth as full of song as the sea, and our tongue as full of joyous song as its multitude of waves, and our lips as full of praise as the breath of the heavens, and our eyes as brilliant as the sun and moon, and our hands as outstretched as Eagles of the sky and our feet as swift as hinds, we still could not thank you sufficiently, G-d our G-d and G-d of our forefathers and to bless your Name, our King for even one of the thousands of thousands and myriad of myriad of favors, miracles and wonders that you performed for our ancestors and for us. I believe this aptly expresses the depth of my feelings. As a result of my uplifted feelings, I felt a celebration was in order. I decided to fully engage all aspects of my being: both physical and spiritual. I picked up a friend and drove to the indoor pool located at the country club in Tzfat. The country club is a lovely privately owned club with a fabulous indoor pool, large Jacuzzi, steam and saunas, exercise classes, state of the art exercise equipment and my favorite: a ping pong table. There are separate men and women’s hours and it is truly a blessing for the Tzfat community. The pool itself looks out on forested hills and lush grassy areas covered in brilliant red crown anemones and poppies intermingled with sunny yellow mustard plants and yellow crown daisies. The colorful flowers and trees, along with the vibrant blue sky, was a visual feast for my eyes as they were in my visual range, while I swam in the waters of the pool . 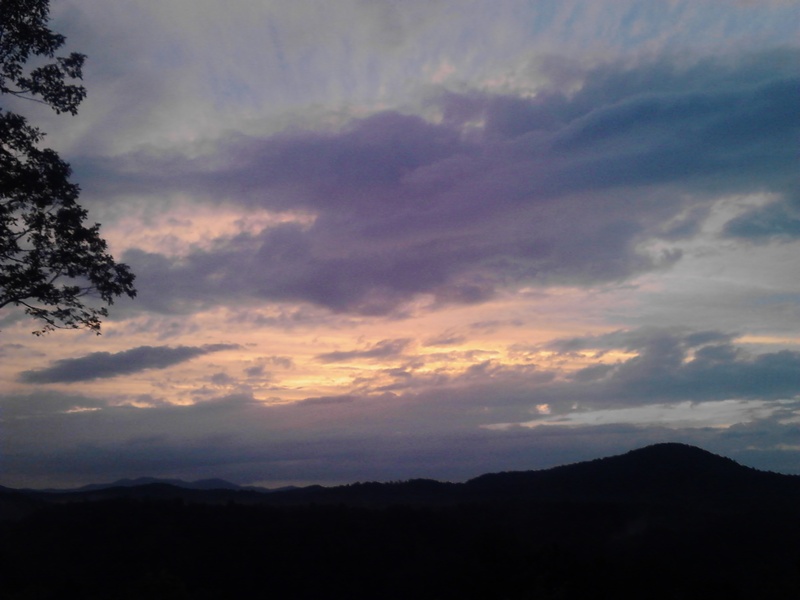 I felt surrounded by G-d’s magnificence and it took my breath away and carried my soul aloft on wings of joy. Afterwards, being in gratitude mode, I offered a ride to an acquaintance and drove towards the location of my Torah class. Along the way, I noticed a friend who also needed a ride so I stopped. It turned out that both women to whom I was giving rides were going to the same place as I: the women’s Beit Medrash to learn Torah. During the drive, we engaged in stories of Divine Providence in order to not only express our joy and gratitude but to make G-d’s name great by reminding each other of His constant interaction in our lives. It is so soul nourishing to share such stories, as they add power to the Jewish nation and bring great light into the world. The class itself was exciting and uplifting amidst lively discussion, joy and goodwill. After class, I popped into a Pizza restaurant and had a yummy piece of warm, sizzling cheesy pizza for lunch. Pizza is one of my favorite foods and it is so nice to be able to have access to it so easily. Israel has everything your palate could desire and it is all available with ease from Jewish-owned restaurants. On the way to my car, I was blessed to have the opportunity to give charity to four Holy Jews. Sharing the bounty of the riches G-d has bestowed upon me always brings me joy. 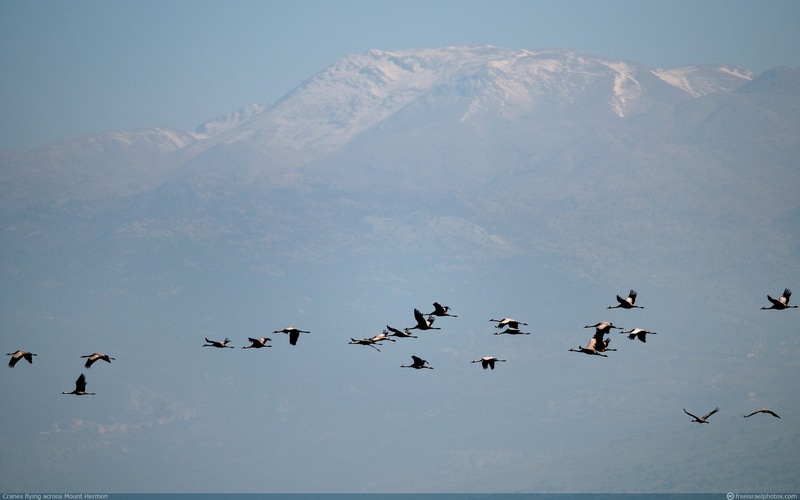 I headed home to our beautiful house situated on a dunam (quarter acre) of land which looks North to Hermon mountain: the highest in Israel at 5,000 feet and east to the Hula valley: the migratory bird pathway. Our house also looks out over a grazing pasture for horses and cattle. I was gifted with seeing three handsome horses grazing very near the fence, close to our house. I was giddy with joy because horses hold a special place in my heart, as I grew up riding horses, which we kept on our property. Above the pasture is the IDF Northern Command center which is a very significant military installation. We frequently see helicopters landing there with important military personnel. This large installation reminds us of the blessings of the IDF and the protection they provide to our country and people. Living in Israel, one can go from one mitzvah to the next and constantly interact with the people and land: in fact there is no escaping it and it binds us together in strong, magnificent ties. It reminds me of who I am, where I am and of my purpose in the world. After experiencing a day filled with connections to the Land and our nation, and with the memory of my good news, I felt the full weight of my blessings envelop me in a loving embrace. I went outside to quiet my thoughts and drink in the beauty of the view when a Torah commentary I had read the day before entered my mind. Am Yisrael is the foundation of the house of G-d in this world. Through our existence, G-d has a house and a place to dwell in the physical world. Such is our strength and our task in the world. ‘Build Me a Sanctuary and I will dwell amongst them’ (Shmot25:8). This can be understood as referring not only to the actual Beit HaMikdash or Mishkan, but also to the Temple of our Nationhood. G-d dwells within Am Yisrael! The book of Shemot, in which this portion is read, is in essence the book of the birth of Israel. This birth is through a continuous process of meeting G-d. If we look at Am Yisrael, we are, in fact, viewing G-d Himself. Here we have discovered the ultimate way of meeting G-d. When we encounter Am Yisrael, we meet G-d. We are His chosen people, and we are the foundation of His earthly existence. The Temple is built on us. We are the House of G-d. We are indivisible from our maker and we must be viewed in conjunction with Him. The wisdom and instruction of this week’s Torah portion of Vayakhel, solidifies in my mind the blessing of being actively engaged with my fellow Jews in our homeland, where the majority of Jews reside. May Rav Kook’s powerful, intimate message arouse a longing to help build the foundation of His earthly existence in His Beloved nation, in our Biblical inheritance which is the House of G-D! Enter it at Will! Jewish friends, you are needed here, in G-d’s beloved Garden to channel all your gifts and talents and money into the building up of our nation and G-ds honor in the Homeland HE willed us. May you return home and just like the Jews in this week’s Torah portion who were involved in the task of building the Sanctuary, become involved in the building up of our land and nation so that you too can enter the Temple of our Nationhood in the Homeland of our Nation: Eretz HaKodesh. Joseph Looked To the Future – Judaism – Arutz Sheva. This Shabbat is called Shabbat Mevorchim. This special name is given to any Shabbat that directly precedes the arrival of the new month (Rosh Chodesh). The word mevorchim means “blessed” for it has its own uniqueness in its ability to draw down blessings. The Shabbat service at the Shuls or Betei Kinneset contains special congregational prayers that are recited in order to draw down the blessings embedded in the month. It is said to be a very auspicious time to tap into the blessings and begin the new month on a note of awareness, gratitude and good intentions in alignment with the deeper meaning of the month itself. Prior to announcing the day and time the new month begins, the doors of the Aron (the ark which houses the Torah scrolls) is opened, symbolizing the opening of the heavenly gates of mercy. At this time, the leader of the prayer service blesses the congregation for good health and good fortune in the coming month. On Shabbat Mevorchim, the theme of redemption is stressed as the message of Shabbat. Therefore if one is able to attend Shabbat services, it is highly advised to do so. Additionally, there are special supplications offered by women in the privacy of their home in an exquisite dialogue with the Divine. These supplications or Techinas in Yiddish have been spoken by women for many generations. These special prayers are collected in a beautiful little book called “Techinas: A Voice from the Heart: a collection of Jewish Women’s Prayers” by Rebbetzin Rivka Zakutinsky. The intimate words of the prayers themselves feel as if they have a direct line to G-ds abode in heaven. The author felt compelled to preserve these techinas and present them to the women of today so their dynamic depth and beauty can be tapped into. Rebbetzin Zakutinsky felt that by attaching ourselves to the techinas of our mothers and grandmothers, who uttered these supplications with such deep, heartfelt devotion, we can tap into their holy channel and flood the world with an outcry to the Creator. In the introduction to the book on techinas, Rebbetzin Zakutinsky reminds us that “Supplications articulate what the heart longs to express. They emanate from a feeling of dependency: the knowledge that G-d is not only our Creator, but that He is the one who provides for our every need. She explains that the root of the word techina is chein which means grace or favor.” When Moses prayed, in Deuteronomy 3:23, he said “V’etchanan….”and I requested. Rebbetzin Zakutinsky explains that G-ds bounty is not sought out as a deserved reward, but simply chenam, for free. G-d desires our prayers and it is our job to ask for everything. She explains that the women of olden days turned to the techinas to evoke feelings within themselves that would awaken and arouse their natural passions for G-d. They did this to become even more aware of His nearness to them in all they did and at all times. Unlike the standard prayers which are recited in the plural, communal voice, the techinas are expressed in the singular, the voice of the individual. They are a way of talking to G-d that grew out of the daily lives of Jewish women during very difficult travails and could only be said by them. They touch upon all manner of women’s concerns, hopes and dreams i.e., the holidays, women’s mitzvot, children, husbands, sickness, rosh chodesh, healing etc. “A Voice From the Heart” is a precious book every woman should consider owning in order to touch the sacred supplications of generations of Jewish women and to add their own precious voice to these special prayers. As we see from the news in Israel and the world, strong, heartfelt supplications are desperately needed today and everyday. Please, seize the power of Shabbat Mevorchim which ushers in the powerful month of Kislev. Storm the heavens with passionate supplications for our beloved nation of Israel and our precious Holy Land. Count yourself among the holy women who know and understand the power of this special time in the Jewish calendar. Don’t let it slip by without acknowledging it. It is a gift for us to use and celebrate. With blessings for a powerful, heartfelt tefillah this Shabbat and all Shabbatot, as Shabbat is the power-source of the nation of Israel. A Jewish National Fund (JNF) publication on HaRav Kook tells the story of his perseverance even to the end of his days. Towards the end of his life, wasting away by a fatal cancer and suffering from severe and unrelenting pains, HaRav Kook was visited by a delegation of the leaders of the JNF, whose mission is to reclaim Jewish lands by purchasing them from the Arabs. They were in a deep financial crisis and desperately needed the Rav’s approval and contacts for a fundraising campaign. He aroused himself to their plight and dictated a letter to his secretary who smilingly responded to the Rav that the rightist critics, the zealots who opposed him, will accuse the Rabbi of being a Zionist. 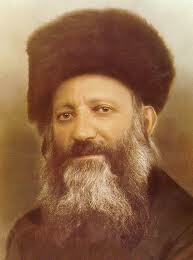 Rav Kook responded with a twinkle in his eye, “Is it at all possible for a Jew not to be a Zionist? After all, G-d Himself chose Zion and is thus a Zionist; and we are commanded to imitate G-d and walk in His ways.” Such was the mettle of this most remarkable man who lived and died for his beloved Zion: The Holy Land and His beloved nation of Israel on whose behalf he fought mightily in so many arenas. Another time, when a devout Jew was visiting from America, he commented and complained about the widespread laxity in the observance of Judaism in The Holy Land. Rav Kook explained that Eretz Ha Kodesh is the emergency room of the Jewish world. He told him that Eretz Yisrael attracts many spiritually ill to our Land because the spiritual climate heals both the soul and the body. Rav Kook was a man ahead of his time for he could envision the future of not just the Land of Israel but the entire world, in an extraordinary way. HaRav Kook’s overriding goal was the complete unification of the people of Israel, and through them all of mankind accepting the Kingdom of G-d. He believed that all distinctions, separations, differences between peoples, institutions and ideals were but temporary manifestations of a fragmented world. He believed with complete faith that the people of Israel, through the Torah of Israel and in the Land of Israel, are the instruments for the final unification of all mankind, all ideals and aspirations. Without the Land, Rav Kook asserted, Israel must remain fragmented, mankind unredeemed and the great vision of unity dimmed and distant. According to the Torah, on the yahrzeit of a Tzaddik, a righteous person, his great deeds and His Torah can be accessed to bring his light into the world for Blessings. May the merit of Rav Kook’s extraordinary deeds on behalf of his beloved Jewish nation bring much needed Blessings and healing to our fragmented world. May his enormous merits and great Torah knowledge be accessible to all who choose to be uplifted by the soul teachings of a Torah giant. May his love of Am Yisrael and Eretz Yisrael enable us to be lovers of Zion in all facets of life. May we also rise to action on behalf of our G-d and our nation. The month of Menachem Av contains the epitome of the dichotomy of life: extreme highs and lows. The name of the month, Menachem Av, means the consoling father and thus we have to look for this aspect of comfort and consolation as key factors in the month. The 9th of Av, the saddest day in the Jewish calendar, when horrendous calamities befell the Jewish nation, contains a litany of destructive events that took place on that day in our history in the very month of our supposed comfort. Then a mere 6 days later, we celebrate one of the most joyous days in the Jewish calendar…the 15th of Av. What’s going on? The origins of the destructive events that transpired on Tisha B’Av began when the Jewish people accepted the negative report of the spies. Maharal (Netzach Yisrael ch.8) explains the following: when the Jews were redeemed from Egypt, G-d was actually submitting them to a new process of creation, whereby a new national entity called “Israel” would be fashioned–a nation whose collective soul would be inextricably bound-up with the teachings of the Torah and with the Land of the Torah–Eretz Yisrael. When the Jewish people accepted the negative reports of the spies, they dramatically transformed their essential nature and ripped the Land of Israel from the core of their being. They didn’t merely accept the spies’ report intellectually. By shedding real tears, they expressed the depth of their soul’s antipathy for Eretz Yisrael, thereby severing their soul-bond with the Holy Land. The Maharal concludes by saying that in order to forge a new soul-bond with the holy soil, the same tears that once dissolved our link to the Land of Israel, must now be shed in love and yearning for our homeland so that our souls can truly merge with the land. Rabbi Nachman Kahana of the Old City Jerusalem, who has lived here for 50 years (and published over 40 books of Talmudic discourse) writes in his book,” With All Your Might/ Parsha Va’etchanan” that the academically-accepted definition of nationhood constitutes: a defined geographical area, common language, designated national goals, shared responsibility, mutual interdependence and perhaps more. He goes on to say that Jewish nationhood includes all of the above, with two additional factors that do not and cannot exist within any other national group. 1) We did not achieve nationhood through the accepted, evolutionary stages of family, tribe and nation. We were coalesced, fused, bonded, sealed, integrated, and synthesized, at one precise moment by our Creator, Blessed Be He, to serve as His personal representative in this world. 2) The Jewish nation as a whole is collectively responsible for the spiritual compliance of every individual within the nation. This was the major implication of the ceremony that was held in Eretz Yisrael, by the mountains of Gerizim and Eyval near Shechem ( Rashi Devarim 29;28) which transformed the individual intimate relationship with HaShem into a new relationship that merged every single Jew into ONE EXCLUSIVE, DISTINCT, UNIQUE AND UNRIVALED NATION. It is taught that a person out of touch with his inner soul hardly appreciates the spiritual losses of not taking up residence in the Holy Land. Rav Kahana asks us to compare how the Jews outside the Land, rank in these aspects that define Jewish nationhood: 1) a defined geographical area: This area was established by G-d for us in Eretz Yisrael. A Jew who is not living in Eretz Yisrael surrenders a major facet in his ties to Eretz Yisrael and Torah. 2) A common language: Our language is Ivrit and the vast majority of orthodox Jews outside the land can barely hold a conversation in Hebrew. 3) Designated national goals: The national goals in foreign lands tend towards the same goals of the gentiles in those lands. Jews very often go further than their gentile neighbors to prove their allegiance to those lands. 4) Shared responsibility: If one does not live in the Jewish homeland, he cannot truly share in the responsibilities inherent in life nor in its future goals. 5) Mutual interdependence: It is comforting to have AIPAC and other friends in high places but as we witnessed over the past 6+ weeks, when push comes to shove, it is the families in Israel who truly fight the ground battles to the point of even sacrificing their sons and daughters for the Jewish nation. I personally believe that it is the concept of nationhood that gives the deepest comfort inherent in the name of this month. What a powerful consolation to have been given a land, language, national goals, shared responsibilities and mutual interdependence. When the Jews in the desert denied their birthright, they broke a soul-bond as the Maharal states. Thus making Aliyah reconnects all aspects of that bond as we understand from Rabbi Kahana’s list. Aliyah then truly allows the core aspects of nationhood to coalesce and helps us to manifest our latent potential and true power. The month of Av also brings us Tu B’Av—the 15th of the month of Av—which was the time of an ancient festival that originally marked the end of the wood-chopping season in the Land of Israel. The work stoppage, so to speak, gave the young men time to search for wives. The maidens of Jerusalem (according to the Talmud) dressed themselves in white on the 15th of Av and went to the vineyards, singing and dancing, and the young men followed after them. The result? This day became a festival of matrimony thereby creating new generations ready to sustain Jewish life. Once again, we come to understand from this, the joy of the nation being united in their land, marrying and insuring the continuation of the Jewish people. The Jewish people are not just a religion. We are G-ds chosen people with a divinely chosen homeland and a divinely chosen mission. When we come together, as we have done recently, we not only comfort each other, we bring comfort to G-d and to our own souls. I bless you to reflect deeply on the aspect of how G-d comforts us in so many ways and then reflect on how you comfort G-d. His own house has never been rebuilt, but he gave us this precious festival on the 15th to remind us of the significance of building up the generations of Jews and sustaining the life of the Jewish nation in our Divine inheritance. TRUTH OR CONSEQUENCES; WHICH WILL IT BE? Truth or Consequences was the first game show to air on broadcast television. It ran from the 1940’s until the 1970’s and was a very successful show. The contestant was asked a trivia question (an off the wall one) and had two seconds to answer. There were several parts to the question. If he could not complete the truth portion of the question, there would be an immediate consequence that was an embarrassing and zany stunt performed in front of the audience. Sometimes, I wanted like to be the master of ceremonies—the one asking the question. SO, I will pretend you are my audience and I will ask you a few questions. However, they are not trivia and you must answer truthfully. Part A) Where is the location of the only place in the world that was given to a nation by G-d in which to live and do His commandments? Part B) to which nation was the Divine inheritance given to? Part C) what force could prevent a person from living in this place? Part D) what happens if these people do not claim their inheritance? Do you ever wonder what would happen if we could see the consequences of our choices in an immediate way and if, G-D FORBID, WE MADE A POOR CHOICE, to have to instantly face the consequences in front of an audience? Would it cause us to make different choices? What if that audience was G-d Himself? Some folks see life as a game and they view consequences as a non-existent reality. But the Torah tells us otherwise. In the “Thirteen Articles of Faith,” which express the totality of the Jewish belief system, it states: “I believe with complete faith that the Creator rewards with good those who keep His commandments and punishes those who violate His commandments.” Also, in the prayer Le’Olam Ye’he Adam, it says, “a person should always be G-d fearing in private as he is in public, and should admit to the truth, and speak truth in his heart.” Strong words! Most of you already know the answers to the question but let’s just play along for the sake of the game. Answer for Part A) The location of the tract of Land given to the Jews is Israel. Part C) HERE IS THE TRUTH PORTION: What could keep a person from making Aliyah to claim his inheritance? Here are my answers: fear, ego, titles, comforts, money, stuff, cars, community, their Rav, or plain and simple, you are comfortable with your life and do not want to rock the boat. Part D) what happens if you don’t claim your inheritance? If you don’t claim your inheritance, you will lose it and you can decide FOR YOURSELVES what that means to you. Speaking of Truth AND Consequences, I have read the same complaints over and over again about making Aliyah. It definitely reminds me of the spies in this weeks’ Torah portion speaking negatively about the Land without understanding the big picture. They brought a negative report about the land due to its perceived fierce inhabitants. The report in actuality was about themselves and how they viewed themselves as grasshoppers and ants; small and inadequate. These men came out of Egypt and had been slaves. This mentality influenced their view of G-ds precious gift to his Nation. It seems they could not face the challenge of freedom. TRUTH OR CONSEQUENCES? I wish they had seen the game show! They paid the ultimate price with their lives. They did not get to enjoy all the spoils they acquired in Egypt due to their poor choice which was a direct result of fear. I always cry when I read this Torah portion because in truth, I cannot bear to think of them missing out on life in Israel. 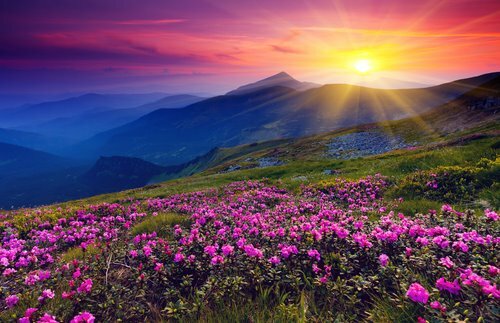 I anguish over negative reports of our Land and our Nation because I live here and I constantly see the amazing care and the good deeds done with deep love. I see the kindness and generosity. But mostly, I feel anguish for the honor of G-ds name for His beloved Nation and Beloved Garden. I am pained by the current rash of misinformed and misguided people who are tarnishing the name of Am Yisrael and Eretz Yisrael and for what purpose? The TRUTH is, truth is scary! Israel IS REAL…MUCH TOO REAL FOR SOME and I believe, it is really the scariest thing about Aliyah. It confronts you with yourself. Confrontation manifests on all levels and who likes confrontation? I sure don’t, but at the same time, I thrive on the aspect of personal growth and self-perfecting. Aliyah gives you the chance to shed the façade of superficiality and get real. Aliyah is hard because it also demands change, which is a foreign word to some and an ugly word to most. Aliyah brings out the emotions of fear and that’s not an emotion most can handle or admit. The fears are many and varied but I will name a few: Fear that A) I won’t have enough, B) I won’t be good enough to live in the holiest place in the world, C) I won’t be known i.e., be given honor, D) I won’t have power E) I will be starting over and won’t know my way around F) I won’t make enough money G) I might have to do without things or a really big house. Yes, I believe fear is the biggest factor to not making Aliyah…the spies proved it, but who will admit it? We tend to transfer our fears onto others: people or places and we project our own shortcomings on the other. This is the nature of life and I believe this is what is happening today. Don’t get me wrong, these are real and valid fears but each can be overcome and replaced by many positive emotions, as you find your footing in the Land of your birthright. The Torah and Prophets predict that prior to the end times, we will make ourselves confused by our stubbornness. They also predict that we will make ourselves ignorant instead of learning from what was given us by Divine Revelation. Is that the case with you? Be clear, the Land of Israel is where IT’S HAPPENIN. It is THE HAPPENIN PLACE FOR JEWS, especially Torah observant Jews, and it is soooo exciting, besides I hate missing out on great events. In a recent JPost article by Aharone Wexler, titled, “Just a Thought: “On The Lack of Aliyah. The article was lovely, truthful and inspiring but I found the talk backs to be extremely offensive to the core values of our nation and our Jewish homeland. I believe many Jews are misinformed, misguided and lacking basic knowledge of our history, past, and present especially relating to the Land of Israel. Their complaints uncover this fact. The complaints listed are: Israel is overly politicized; that’s because Jews have a voice in Israel and they are involved in politics at every level. This lies at the basic core value of the Jews in the Land and it’s a positive aspect not a negative one. Next complaint: there is an unsavory government. I use the word unsavory for food not government. This statement is humorous, because our government, as unsavory as it may appear to some, is heads above other governments of the world in their core values. Next complaint: There are too many struggles: In comparison to what and where? The struggles exist because The Land of Israel is one of the three things acquired through struggles. It comes with the turf. Next complaint: It’s too Hareidi, too Secular, too Religious. I agree and it’s all these things and more because people here are fighters and they are passionate about what they believe. I wouldn’t have it any other way. You can become whatever you want here because there is a smorgasbord to choose from. I love it. Next complaint: You become a debt slave. Wow, now that’s a new one, especially coming from a guy from America, which is the credit card debt capital of the world. The truth is most people have debts, some through living above their means and others through unexpected situations. But there is no hard and fast fact that Israeli’s have become a slave to debt. I would call that a slave mentality. Next statement: Jews have been wanderers for centuries and they have lived well in other countries. Wow, am I missing something here? Jews were expelled from merry old England in 1290, from Vienna in 1421, from Cologne inn 1424, Bavaria in 1442, Milan in 1598 and the most traumatic from Spain in 1492. A century ago the wave of pogroms in Eastern Europe sent millions of Jews into flight to the West and these migrations continue even today due to blatant anti-semitism. Friends, lets learn from the Spies and let’s be honest so we don’t have to face the consequences. Israel has the ability to break the spirit of pride that resides within most of us. This humbles us, thus enabling us to truly receive the Torah on a deeper level. This causes an actualization of a wider Divine service than mankind performs in the world at large. Thus, we have the opportunity to redefine ourselves in a broader consciousness and that allows for an ascent of the soul. DO you understand what I am saying? This is part of the reason G-d gave this Land to us… for us to perform His mitzvot in the Holy Land to gain merit and to impact the world in a positive way. The truth is if we follow the leanings of our Divine soul and follow the instructions of our Creator, we become happy, committed, spiritual beings, grounded in reality. The Land of Israel is center stage for the life of a Jew. The Land of Israel, the Torah and the Jewish people are one entity bound together. Forego the complaints and excuses and return to the Land of your soul and nation. This is the Truth! Honor the Truth and the Consequences will be uplifting, as you walk the Divine pathways our Forefathers walked. Let us rectify once and for all the Sin of The Spies and speak with Pride of our Nation in our Holy Land. Rabbi Shlomo Aviner has an amazing history of service to the nation of Israel. Born in German-occupied Lyon, France in 1943, he was spared deportation by being hidden under a false identity. As a young man, he was active in the religious Zionist youth movement, later becoming national director of Bnei Akiva. At University, he studied mathematics, physics, and electrical engineering. At the age of 23 infused with the ideal of working the Land of Zion, he made Aliyah to Israel. He first lived in Kibbutz Sedei Eliyahu, in the Beit She’an valley of the Galil. Soon after, he went to learn at Yeshiva Mercaz Harav in Jerusalem, where he first met Ha Rav Tzvi Yehuda HaCohen Kook, Rosh Yeshiva and son of Israel’s first chief Rabbi. He became one of his leading students. This meeting shaped his core values in a dynamic way and ultimately impacted his destiny as he is one of Israel’s most well known leaders of the religious Zionist movement. During this time, Rav Aviner enlisted in the Tzahal-the Israel Defense Force and served as a soldier in both the Six-Day War and the Yom Kippur War earning the rank of Lieutenant. After this period, he was directed by his Rabbi to settle in Hevron and learn Torah there. In 1971, at the age of 28 he became the Rabbi at Kibbutz Lavi, in the lower Galilee where he spent half of his day farming. Later, he became the Rabbi of Moshav Keshet in the Golan Heights and then, in 1981, accepted the position of Rabbi of the Binyamin region of Beit-El, a position he still holds. Additionally, he is Rosh Yeshiva of Yeshivet Ateret Yerushalayim (formerly known as Ateret Cohanim). It is located in the Old City of Jerusalem and has produced rabbis, teachers, educators and officers of extraordinary quality that serve in the IDF and many other positions throughout Israel. Rav Aviner has produced hundreds of books and articles which frequently appear in Israeli publications. He hosts two weekly radio stations, teaches weekly classes, publishes a Q&A blog and lectures throughout Israel. He is a strong presence in Israel and is very vocal in his love of Medinat Yisrael…the State of Israel. The following is a poem he wrote about our precious Medinat Yisrael. “I’m no longer a downtrodden people controlled by a foreign government. “I’ve got my own government. “Do you hear, nations of the world? My heart goes out to my fellow Jews around the world whose holiday lasted one day longer than the seven enjoyed by Jews in Israel. The additional day means more meals to cook, more food to eat, more work to do and more money to spend plus the inconvenience. The fact is that every Jewish holiday celebrated outside the Land of Israel requires two days instead of one with the exception of Rosh HaShana. The Talmud (Beitza4b) comments on the fact that the two-day festival was a custom of our forefathers that cannot be changed. Tshuvot Hageonim (166:29) states that two days of a festival outside the Land of Israel was planned from the outset by HaShem. My husband says it’s like having to go to summer-school because you didn’t apply yourself to the subject matter i.e., Jewish History and Bible history. We were given the Land of Israel to live in and if we don’t, we pay a price one way or another. The real truth for me personally is that I feel sad that my fellow Jews do not get to experience the parks, people and pleasure of touring Israel during the Intermediate days of the Passover Holiday and the rest of the year as well. This year the weather was perfect; mostly sunny and warm with cooler nights. The country is ablaze with fragrant garden flowers, bushes dripping with blooms, gorgeous flowering trees and exquisite wildflowers but the best sight of all is our fellow Jews and their families savoring the country and its Jewish holiday. According to a Jerusalem Post article several million hikers, picnickers and campers took to the National Parks throughout Israel during the holiday of Passover. During the week of the holiday, the KKL-JNF was offering free entry to all its forests along with free walking tours and events for children and families. The National Parks Authority planned numerous activities around the country including sand sculpture contests at beaches and several festivals with music. Where else can you get free access to G-ds beloved gift of nature in all its beauty, plus planned activities for children…..all in honor of the Passover holiday? One of the best features of life in Israel is free camping at parks and beach areas. During the intermediate days of the holiday, the entire areas are completely covered with pitched tents and lots of children running around with glee. There is no reservation system and no fees. Camping sites in national parks in America are $20.00 per site per night but they are booked months in advance and are difficult to come by. Entrance fees in most National Parks in America are $25.00 per vehicle. The north is THE PRIMARY LOCATION for National parks in Israel and there are plenty to choose from. Additionally living in the north, as we do, we are also very close to the Mediterranean Sea. 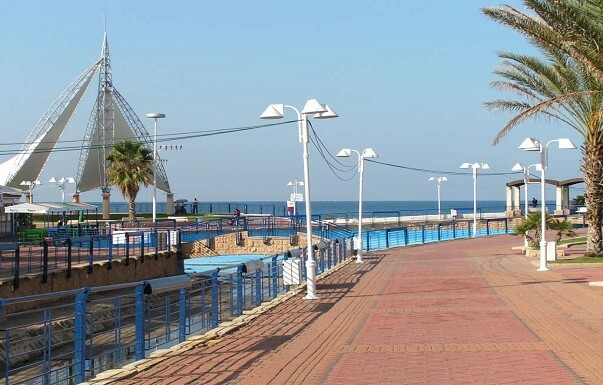 During the intermediate days, we visited Nahariya in the Western Galilee. It was established in 1934 by German Jews fleeing the Nazi’s. It is a popular seaside resort town with beautiful beaches. The entire city is very flat which makes it perfect for both biking and walking along its lovely Seaside promenade. After meandering along the promenade, we dined in a lively restaurant with yummy food. Outside the Land of Israel, it is rare to find a Kosher restaurant set up for Passover meals. After lunch, we drove five miles North to the gorgeous, dramatic white cliffs situated above the azure blue Mediterranean, to view the Rosh Hanikra grottoes. 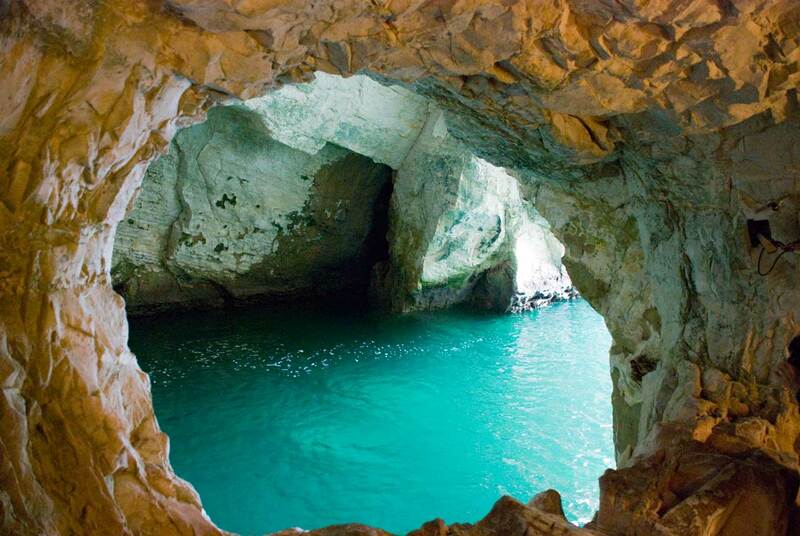 Rosh Hanikra is in the northwestern corner of Israel on the border of Lebanon. According to the Virtual Israel Experience web site, in ancient times Rosh Hanikra was along the trade route between the northern civilizations in Lebanon and Syria and the southern ones in Palestine, Egypt and North Africa. The place was then known as “The Ladders of Tyre.” It has been a gateway in and out of Israel since ancient times. In 1934, the British dug a tunnel for a railway to run between Haifa and Beirut to enable supplies to go from Egypt to the North. It was blown up in 1948 to prevent the Lebanese army from crossing into Israel. The entire area of the Park was packed with carloads of holy Jews enjoying the sights. There is a two-minute cable car ride down to the shore with access to the caves that lie beneath the cliffs. The caves or grottoes have been carved out by the pounding of relentless waves. Today huge bursts of seawater surge at your feet and footpaths inside the cliffs lead from one cave to another where one can hear the echo of waves crashing against the walls. Another great feature of this gem of a destination is the restaurant perched atop the cliff with a spectacular view of the Med and the coastline. My friends and I drank in the beauty and movement of the shimmering water like thirsty wanderers in the desert. We had a difficult time saying good-bye to this gorgeous natural wonder but our next adventure awaited us. We decided to continue with our beach theme and drive to Akko, an ancient port city, whose history begins 4,000 years ago. 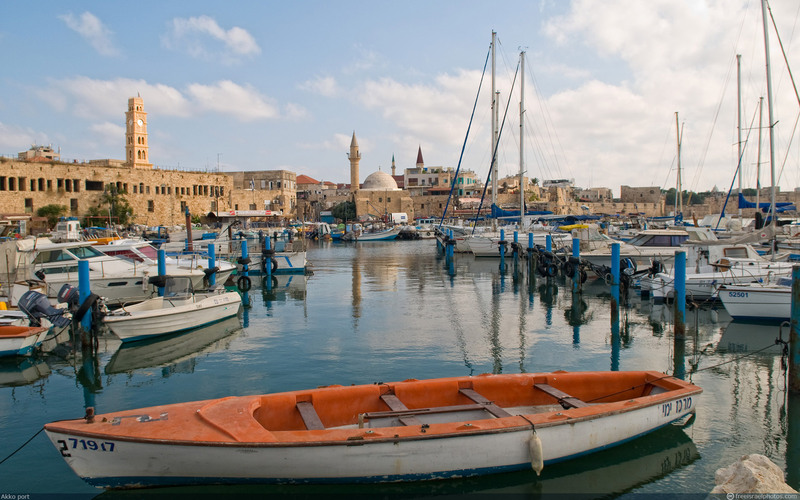 Fodor’s Tour book describes Akko as the walled Old City located in the modern town of Akko. It is an enchanting mix of mosques, ancient markets selling anything and everything, museums, vaulted Crusader ruins, Turkish Inns and lots of fish restaurants. Akko is a city with a fascinating history that includes battles fought against Napoleon’s army in 1799. In ancient times its strategic position on the coastal road that linked Egypt and Phoenicia made it the principal port on the eastern Mediterranean. Alexander the Great set up a mint in the city in the 3rd century and was operational for six centuries. One can spend several hours touring the fascinating Old City with its old world charm. We mingled with the crowds, enjoyed the attractions and savored watching the children in the rental boats on the Sea. The port was filled with pretty boats of various sizes and locals were swimming in the chilly waters. The day was coming to an end and it was time to head home. We had truly felt the Pleasure of being one with the Nation of Israel in its beautiful Parks and Cities in its Biblical Home Land. The Passover message rang out loud and clear through our travel adventures as we felt the Freedom of Being a Proud Jew in The Sovereign country of Israel. People, Parks and Pleasure all wrapped Into One Big Package of Joy during the Intermediate Days of The Festival of our Freedom. WHAT COULD BE BETTER? Is a Worthiness Leak Holding You Back From Aliyah? A fundraiser from America called me last week to solicit a contribution to a charity here is Israel. He mistakenly thought I was living in America because I have an American phone number. I assumed he was living in Israel because he was fundraising for an Israeli organization but much to my surprise, he told me he lives in New York. I asked him why he wasn’t living in Israel—our Divine inheritance—and he stated that he did not feel worthy enough to make Aliyah. 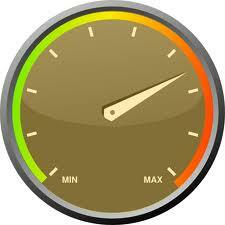 I replied, that in all my Torah learning, I had never heard of a “worthiness gauge” for Aliyah. In my mind, I was almost giggling at the thought of any of us passing such a “worthiness” test before we made Aliyah and also shuddering at this mistaken and dangerous notion. I reminded the caller that in the Shemoneh Esrei that we pray three times a day, it states, “May G-d raise a banner to gather in the exiles from the four corners of the earth to our Land-the Land of Israel.” In the Birkat HaMazon, the after blessing for bread it says, “You shall bless G-d upon the good land HE gave you…” and it continues saying, “Break the yoke of the nations upon our necks and lead us speedily with upright Pride to our Land.” The wording is crystal clear and there is no mention of worth. I wondered after I got off the phone, if he truly believed he was not worthy or if it was just an excuse veiled as a pious belief or was it a pious belief veiled as an excuse. 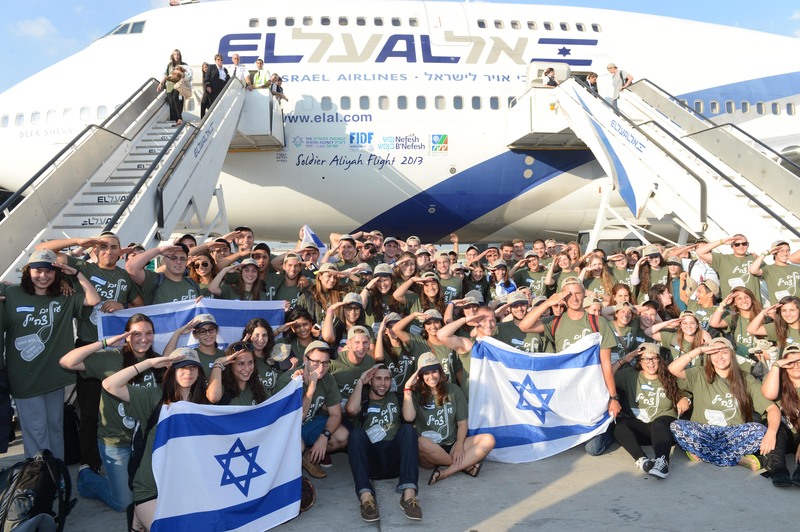 While it is true that making Aliyah is a serious undertaking both physically and spiritually, Eretz HaKodesh is the place where the greatest refinement takes place. In other words, a person cannot sufficiently refine themselves in order to make Aliyah, but once one does make Aliyah those who long to come close to Hashem in the purest and deepest way, will be enabled to do so. Israel is the land of enhancement…..the one Divinely chosen place in the world where one can penetrate through his outer shell to arrive at the innermost core of his being. 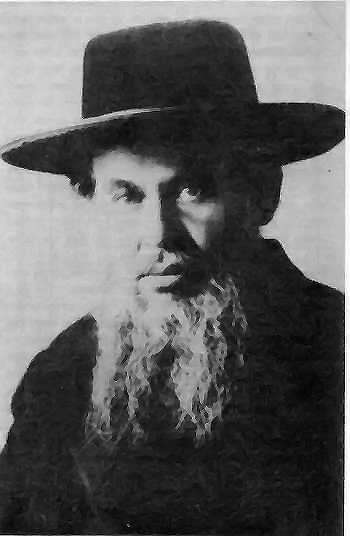 Rabbi Yisachar Shlomo Teichtal who perished in the Holocaust, wrote in his Sefer entitled, Eim HaBanim Semeichah, that there is much confusion, even among Torah scholars, on the issue of settling Eretz Yisrael. 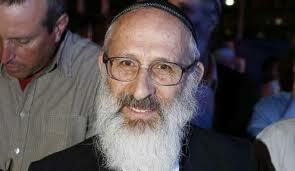 He was an Av Beit Din and Rosh Yeshiva in Pishtian in Eastern Europe, an observant Jew and a brilliant Torah Scholar. Religious Jews living outside the Holy Land would do well to familiarize themselves with this extraordinary 525 page epic volume on Eretz Yisrael, Redemption and Unity. The many chapters covers such topics as: The power of the merit of Eretz Yisrael, The Mitzva of Yishuv Eretz Yisrael, Refuting Antagonists, The Unification of Israel through the Mitzva of Yishuv Eretz Yisrael, Our obligation to Support and Build the Land, The Exile Jew and more. Each chapter touches upon a topic that has been controversial for generations and the renowned author refutes the long held misconceptions and explains the truth in a concise manner. Rabbi Teichtal wrote his book in 1943 during the unspeakable horrors of the Holocaust, when he was in hiding and without his precious books. Due to his extraordinary level of learning plus his photographic memory, his book is filled with sources, from beginning to end. The reason for his passionate push to finish it and have it published was because he was desperately trying to awaken his fellow Jews to the truth he had uncovered– that the return to Zion is the answer to the troubles the Jews were experiencing at the time. I believe the same is true today. Rabbi Teichtal cites numerous proofs of this point and quotes from the entire gamut of Rabbinic literature; Talmudic, Midrashic, Halachic, Kabbalistic and Chassidic. The interesting aspect of this author, who comes from an illustrious lineage of great Rabbis, is that he was raised in a traditional religious environment and was imbued with the ultra-orthodox belief that opposed Zionism. With the full weight of the Holocaust upon the Jewish nation, he became inspired to re-evaluate the issue of Israel’s Redemption. Originally, he viewed Zionism as a “desecration of holiness and a defilement of the supernal and earthly Holy Land. After studying in depth all the sources, he realized that the nationalistic movements and the rebuilding of the Land were revelations of Divine Providence. In the “Historical Introduction” to the book, Moshe Lichtman, the translator, states, “R. Teichtal’s new understanding drove him to attempt to awaken others to the path of truth he had found. He hoped that it would save them from the blindness and denial that once plagued him.” This book clearly identifies the fundamental concepts of making Aliyah and the great purpose and meaning behind it. It relates that the true worth of the Jew is manifested when he makes Aliyah and becomes a part of the Nation of Israel in the Holy Land, his ancient birthright. This book therefore assists the searcher in the realization of his goal. This notion brought me to the realization that perhaps the caller really did feel a lack of worthiness due to the very fact stated above; he had lost his dignity as a result of his lack of desire to make Aliyah and return to claim his G-d given inheritance. I can only surmise that the darkness of living in exile tainted his own faith and belief in himself and his worth. If I had the phone number of the caller I spoke to, I would phone him and remind him that the Jewish nation has an intrinsic value as a result of the merit of our Patriarchs and Matriarchs who’s DNA we carry. Additionally, were it not for our intrinsic merit and worth, G-d would not have given us HIS HOLY LAND. To conclude: Our Sages teach that we can only cling to G-d in Eretz Yisrael and the exile is unnatural. The Ahavat Yonatan writes that our very return to Eretz Yisrael is in fact, the very essence of repentance. After 10 years of living in the Holy Land, I can truly say that I have never felt as worthwhile as I do now. It is not because I have achieved personal greatness of any kind but because I have become an intrinsic part of our nation by living in our Holy Land and building it up. If you want to truly be considered a worthy Jew, I suggest that you come home and dedicate yourself to building up the Land and along with it….G-d’s Honor.